$30 PER PUZZLE or purchase a set of 13 puzzles @ $325.00 and save $65.00and for an extra $25.00 purchase the lesson planner. Books retail at $20.00 plus 12.5% GSt Goods and Service Tax. For postage in New Zealand add an additional $5.00 for books. For postage to countries overseas add an additional $20.00 to cover postage and handling for books. All prices are New Zealand currency and GST exclusive. Copyright protection over all resources. 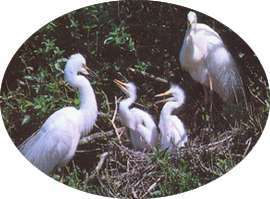 WHITE HERON (Egretta alba modesta) - These elegant pure white herons nest in large colonies, known as heronries, and the females lay three to five bluish-green eggs in stick nests, which are built in trees or bushes.